The fractious debate at UN climate talks in Doha points to a rocky road ahead to a new, global 2020 deal on saving the Earth from calamitous global warming, observers say. A consensus interim agreement that many say is low on substance, was passed after two weeks of intense haggling that deadlocked almost from day one and highlighted deep fault lines between rich and poor nations. 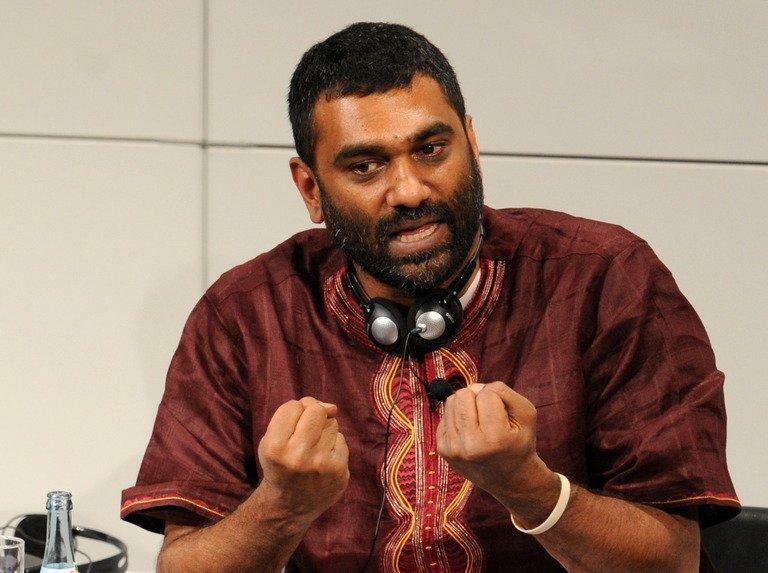 "If we make a judgment based on what we've seen in these negotiations so far, there is no reason to be optimistic" about a fair, new global deal, Greenpeace International executive director Kumi Naidoo told AFP. The key dispute has remained unaltered for more than two decades -- sharing out responsibility for tackling what UN chief Ban Ki-moon called the climate change "crisis". The developing world places the onus for financing and deep emissions cuts on rich countries which they say got where they are today by pumping the bulk of Earth-warming greenhouse gases into the atmosphere during the industrial era. But rich countries led by the United States, which has refused to ratify the emissions-curbing Kyoto Protocol, insist on imposing a duty on poorer nations polluting heavily today as they burn coal to bolster their developing economies. "It is going to take a lot of hard work, a lot of compromise," climate observer Alden Meyer of the US-based Union of Concerned Scientists told AFP. The new deal covering all the world's nations must be negotiated by 2015. A slew of recent reports has warned that the Earth is on the road to dangerous warming levels with ever more extreme weather events like superstorm Sandy that struck the US east coast and Caribbean in October and the deadly typhoon that swept through the Philippines. "We are headed on current plans for likely increases of 3 centigrade degrees or more -- temperatures far outside those that Homo sapiens has ever experienced," British economist Nick Stern, author of a landmark climate change report, said of the Doha deal. The UN is targeting a limited warming of two degrees Celsius (3.6 degrees Fahrenheit) above pre-industrial levels. Battered and bruised, negotiators applauded as conference chairman Abdullah bin Hamad al-Attiyah of Qatar rushed through a package of deals he called the Doha Climate Gateway on Saturday evening. 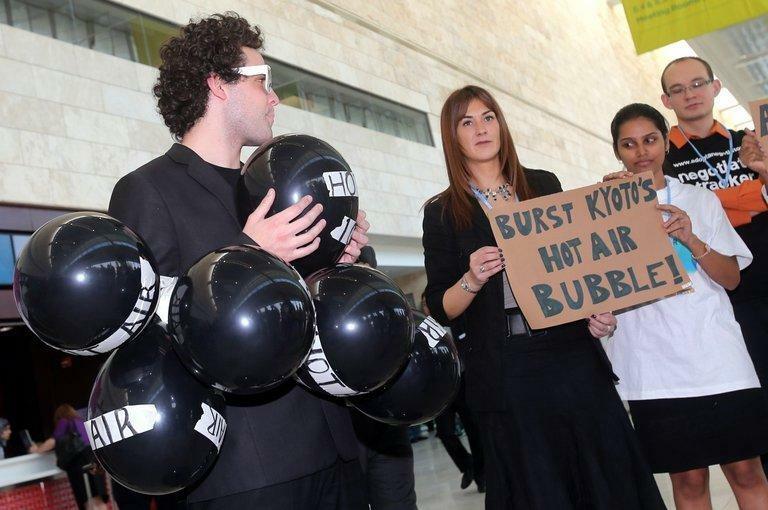 The package gave a second life to the Kyoto Protocol, albeit in a watered-down form -- placing binding emissions cut targets on the European Union and 10 other developed countries jointly responsible for about 15 percent of the world's emissions. While there is relief that Doha delivered some kind of a deal, many worry it has not laid down a firm enough foundation. The package includes wording on scaling up funding from now until 2020 to help poor countries deal with global warming and convert to planet-friendlier energy sources -- but does not list any figures. It is also short on detail on stepping up urgently needed pre-2020 emissions cuts by non-Kyoto partners, which include the world's first and fourth biggest polluters, developing nations China and India, as well as the second-placed United States. "Very intense negotiations lie ahead of us. 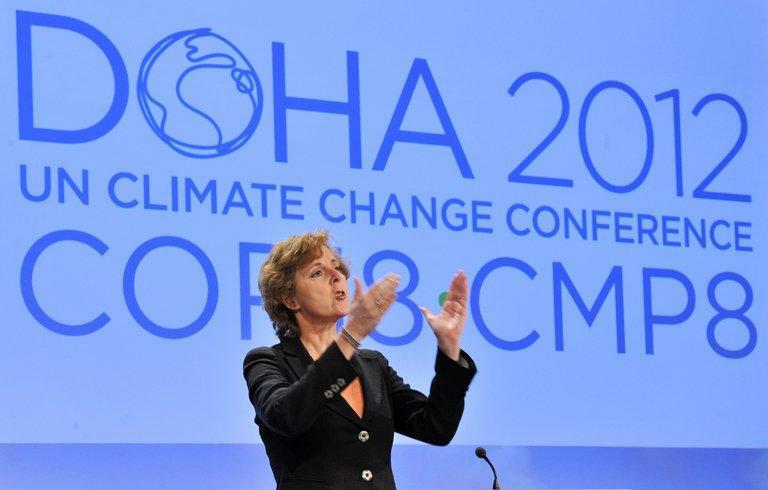 What we need now is more ambition and more speed," European climate commissioner Connie Hedegaard said. Philippine climate envoy Naderev Sano made an emotional appeal to delegates to take heed of the typhoon that killed more than 500 people in his country as the talks bogged down in Doha, and recognise "the stark reality that we face". Yet greenhouse gas emissions continue to rise. "There has been, yet again, a very big mismatch between the scale and urgency of action required to effectively manage the huge risks of climate change, and the political will and ambition that has been displayed," said Stern. But narrow, domestic interests will likely continue to hamstring negotiations. The United States is vehemently opposed to a global deal that imposes goals from the top down, insisting it wants a "flexible" system that allows nations themselves to determine what they can contribute. "It is going to be hard because you need both the United States and China in alignment, and the politics lining up in those two countries to feel they can go much farther for 2020 and make the kind of commitments we need," said Meyer. Observers have welcomed Ban's announcement that he will host a climate summit in 2014, allowing crucial political decisions to be taken right at the top relatively early in the negotiations. But others say there is no time to wait on the UN process. Danish politician Lars Rasmussen, who chaired the 2009 Copenhagen summit widely dubbed disappointing, told AFP this week he has "lost patience" with the multilateral process. He now chairs the Global Green Growth Institute that helps developing countries convert to greener energy. "We need a legal, multilateral framework, targets, we need to make progress. But we cannot wait for that to happen," he said.